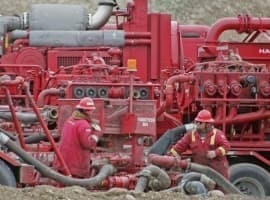 3 mins How many drilling sites are left in the Permian? 1 min Don't Climb Onto the $80+ Oil Price Greed Roller Coaster, Please. 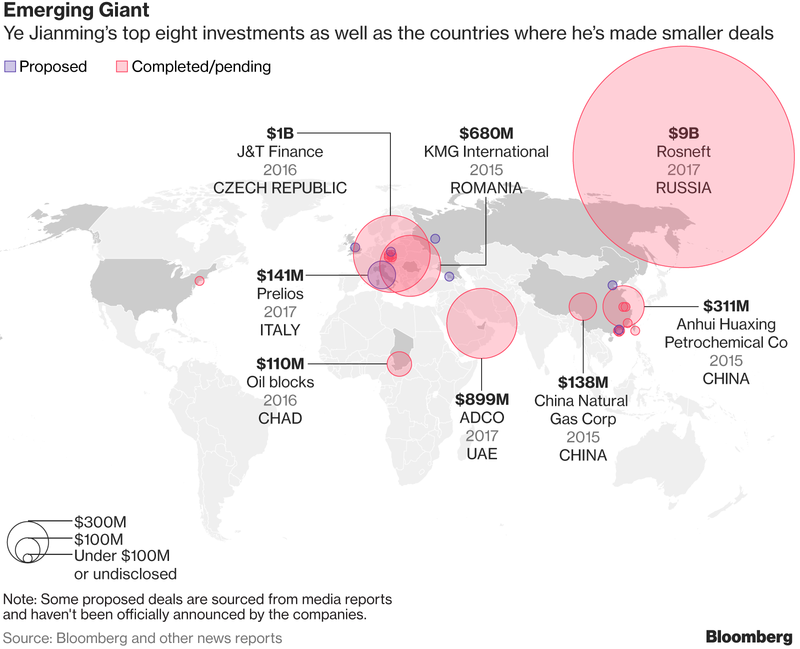 Last week’s announcement of the US$9-billion acquisition by Chinese CEFC of a more than 14-percent stake in Rosneft sent ripples across the oil industry and among commodity traders. The Chinese conglomerate, which started as a small oil trader, bought the stake from none other than Glencore, which acquired it at the end of last year in tandem with the Qatar Investment Authority. The deal, besides making Glencore’s lenders breathe a deep sigh of relief, considerably expanded the access of the Chinese company to Russian oil. And it’s not the last buy in Russia, it seems. Just a week after the Rosneft buy, Reuters reported that CEFC is preparing to take part in the initial public offering of En+, a metals and power company controlled by billionaire Oleg Deripaska, which focuses on aluminum and hydropower. According to unnamed sources, the Chinese company sought ways to increase its exposure to the Russian natural resources sector. Earlier deals include the US$899-milion buy of Emirati ADCO (Abu Dhabi Company for Onshore Petroleum Operations Ltd.) earlier this year; a US$110 million purchase of oil and gas blocks in Chad, completed last year; the US$138-million acquisition of China Natural Gas Corp. and the US$311-million purchase of local Anhui Huaxing Petrochemical Co, both sealed in 2015. Also in 2015, CEFC bought KMG International, a Romania-based venture of local Rompetrol and Kazakhstan’s state oil major Kazmunaygaz for US$680 million. Many industry observers wonder where the money for these acquisitions is coming from. Bloomberg’s Aibing Guo and Helena Bedwell, in an extensive analysis, suggest that Beijing is providing CEFC with heavy support, possibly even financial. Oil and metals are a priority investment area under the Belt and Road global expansion program, so it’s no wonder CEFC is being encouraged to buy more assets in these industries. Belt and Road aside, Chinese producers are all looking abroad for new oil production as local fields creep nearer to depletion and production costs rise. In this shopping spree context, the question of whether CEFC could be among the prospective buyers of Saudi Aramco is particularly fascinating. Chinese companies aren’t, as a rule, known for their willingness to pay huge premiums on their acquisition targets’ price. But a hefty premium is what Riyadh will look for in the upcoming IPO of its state oil giant, given the discrepancy between the internal valuation of Aramco, which is about US$2 trillion, and external valuations, some of which peg the value of the company at below US$1 trillion. Traditionally, state oil majors such as CNPC and Sinopec have been the ones in charge of China’s global commodity expansion, but judging by CEFC’s latest moves that are obviously being made with Beijing’s blessing, it’s not unthinkable to see it in the future as a potential challenger for the big oil traders, whether that be in the Aramco IPO or in other lucrative deals.